Your regular dosage of restaurant and bar closings around town arrives via The Shutter. Notice a place that has recently closed its doors? Do share your sightings. 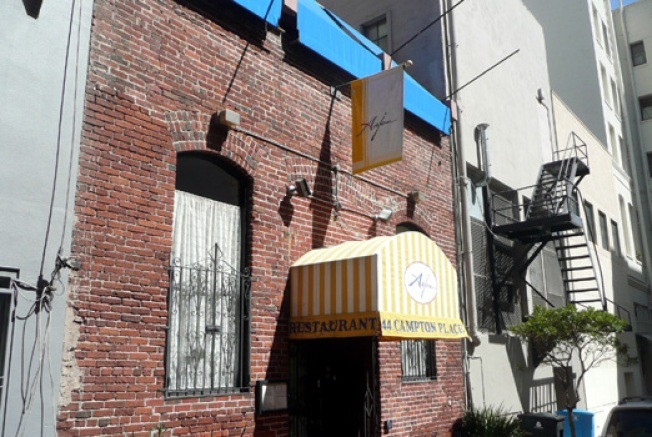 Union Square: On Saturday, 22-year-old downtown alley French staple Anjou shut its doors for possibly the last time. The interesting part, though, is that when the closure was first announced last month, the husband-and-wife ownership team of Pierre and Gail Morin said a lease renewal was impossible, leaving a shuttering and subsequent retirement as the only options. However, the restaurant's current phone message says that Anjou will only be going on a "two week vacation" and will return on October 3rd. Is a last second comeback in the works (or under consideration), or is the vacation line just a euphemism?